DAVID LE/Staff photo. 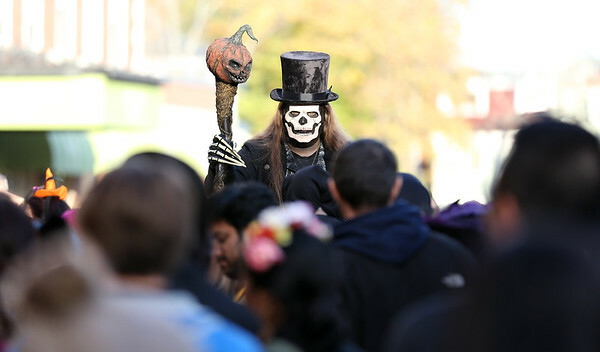 Tom Waters, of Taunton, towers over the crowd, as he and his wife Stacey dressed up in tandem as an "evil carnival." 10/31/15.